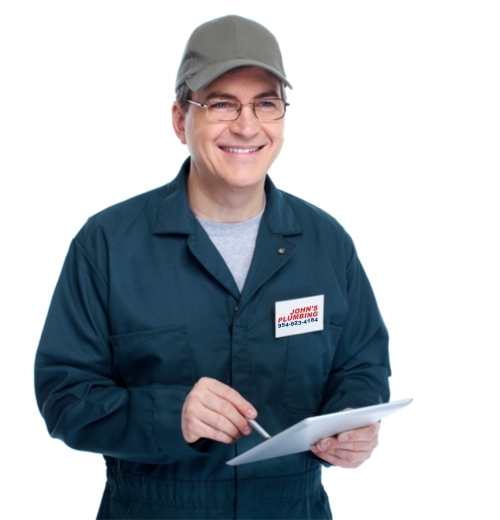 Providing quality plumbers in Pembroke Pines, our staf of licensed plumbers continue our dedication to providing quality service when you need it most. Dispatching our licensed plumbers to your home or business, we will assess the situation and present you with a quote for the necessary services, always using certified technicians and Grade A parts. 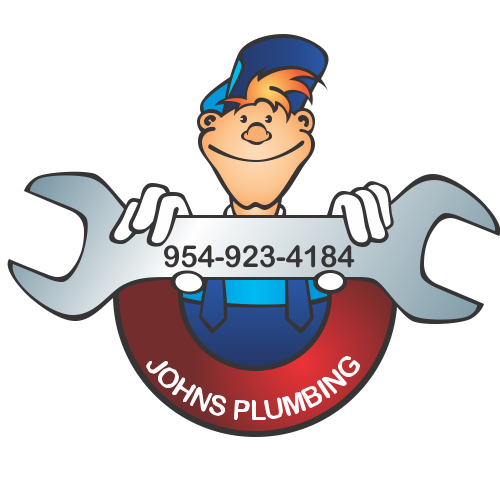 Available 365 days a year, John's Plumbing team will respond to your needs quickly and efficiently. Plumbers Pembroke Park - Johns Plumbing - Our Plumbers Are Ready To Help You! Offering a 24 hour emergency line, 7 days a week, 365 days a year, we are committed to providing you with quick, quality service when you need it most. Whether you have backflow or sewer issues, broken pipelines, leaks, or general plumbing problems, these issues are no match for our plumbers in Pembroke Park. 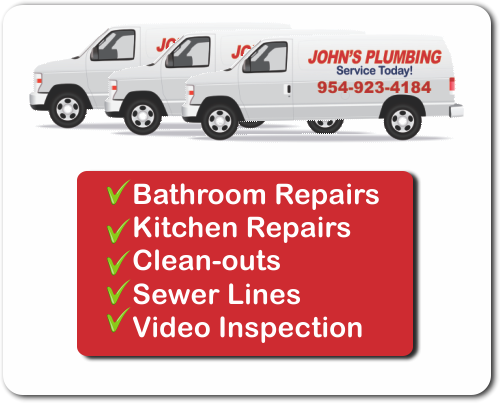 John's Plumbing will always present a service plan with our estimate in order to help you fully understand our process before we begin any work. We have built a reputation for dependable service no matter the time of day or year. Providing plumbers in Pembroke Park, our continued dedication to providing quality service when you need it most extends through your kitchena nd bath remodels as well as new construction. Think of us when you have emergency plumbing needs or when you are planning your next project. Experience our outstanding customer service and call us today for more information!